Often helping out behind the scenes in YouTube videos I have uploaded, he is the silent helper, my muse if you will. So I thought why not make him the centre of attention for once. Unbeknownst to many, despite him being deaf, on a side note I didn’t know that cats with white fur and blue eyes have a 70% higher chance of being deaf! 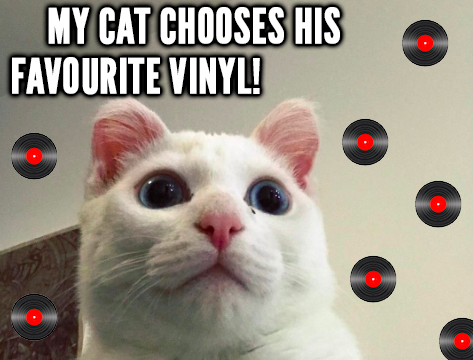 Rupert is actually a vinyl connoisseur so I thought I would document his choice among some of the classics. Pitting two different albums against each other with Dreamies (a cat treat) in front of them to ensure the choice is unbiased. From the contested battle between Megadeth and Metallica to Mastodon’s classic records, this is Rupert’s definitive choice of records. Make sure to subscribe on my channel too if you dig what you see!